What do you think lies ahead for the old QWERTY mobile phone lying in your drawer, that you’d recently replaced with a new, glossy touch phone? It’s perhaps an electronic outcast for you, but can fulfill somebody else’s need for a mobile phone. India is the fifth largest generator of e-waste in the world. It discarded about 1.7 million tonnes of electronic equipment in 2014, according to United Nation’s Global E-Waste Monitor Report. But, where does this waste go? Akshat Ghiya and Aamir Jariwala, friends from college, were curious to find out about what was happening to the growing electronic waste in India, and whether setting up a business which recycles it responsibly, with clean-technology, would make sense. Their initial research led them to local scrap dealers, who were collecting eWaste from households, organisations and taking them to the slums of Delhi. “We knew that over 95% of electronic waste was ending up in the slums, so we made our way out to Delhi’s Seelampur village to see what was happening to it on the other end. What we saw really moved us. There were mountains of electronic waste, stuffed into tiny buildings and pouring out on the streets. Groups of people were manually hammering the glass in television sets. This glass contains lead, and those people weren’t even wearing gloves. Another group of people was burning motherboards that release toxic fumes into the air. They weren’t wearing any masks. Metals were being dissolved off motherboards in tanks of acid. The toxins and the acid were being dumped into the ground which was eventually seeping into our drinking water”, says Ghiya. And this wasn’t all. Ali, a friend they made in the process, took them to railway tracks nearby where all the recyclers would bring the extra fluff to burn in the open. What rose above the tracks was a thick cloud of yellow smoke – toxic Sulphur. “It was obvious that something needed to be done”, says Ghiya. E-waste involves distinctly hazardous substances such as cadmium, mercury, lead, arsenic and a blend of plastics that are difficult to remove from the environment, says the study published in the International Journey of Environmental Technology and Management. Additionally, it is extremely harmful and dangerous for the people involved in this industry. 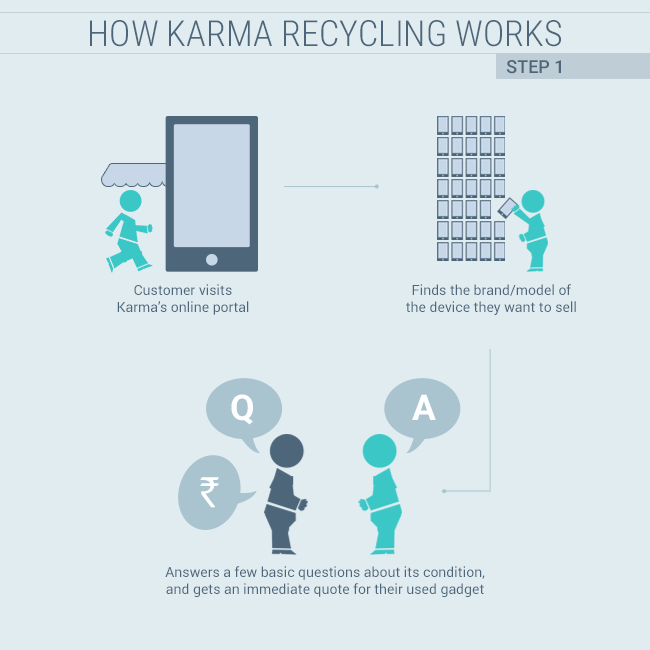 Starting an electronic waste recycling business in India “seemed like an opportunity to create a social and environmental impact no corporate job could offer”, says Jariwala. The idea of this business had struck Jariwala when he, working for a private equity investor, was sent on an assignment to evaluate America’s second largest electronics recycler. He witnessed electronic equipment like refrigerators and television sets being inserted into big shredders from one end that emerged as tiny bits of plastic, metal and glass from the other end. These components were then used to manufacture new products like spoons, chairs, or microwaves. “I studied the business in depth, and the more closely I looked at the business and its finances, the more I started to believe that this was a phenomenal business and could have great applicability in India I decided to call my friend Akshat, who was living in India at the time, to ask if he’d be interested in exploring an eWaste start-up in India”, he adds. 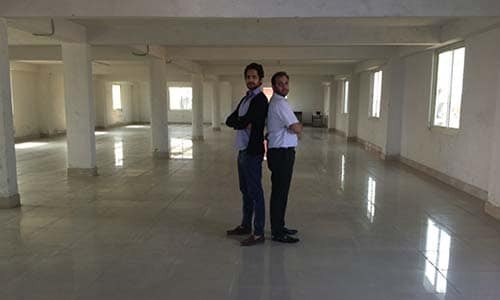 Akshat Ghiya and Aamir Jariwala pose on the first day of their business start-up. Funds were an issue, Jariwala had just finished repaying his education loan, and Ghiya had already invested quite a bit in another business venture he’d started earlier. So, they approached a few family members and friends who agreed to help out because they saw potential in the business. 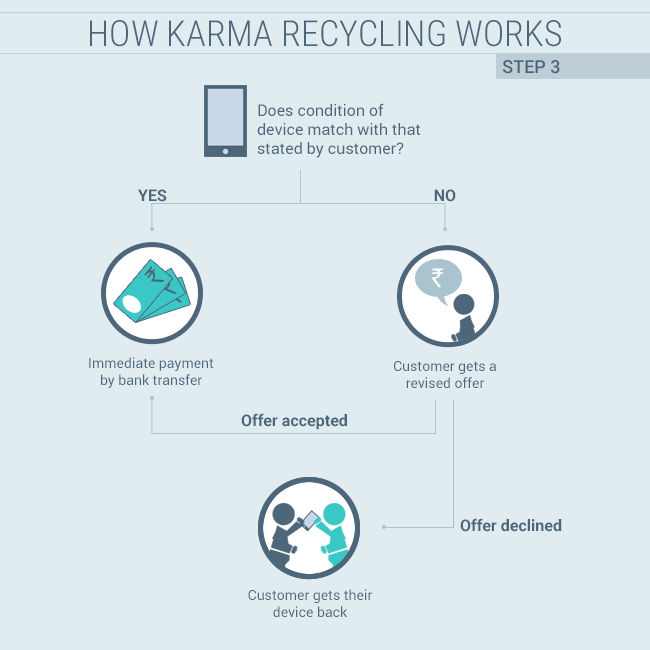 They founded Karma Recycling in 2012 as simple traders – government authorised to collect eWaste from households and corporates and, after segregation, sell that waste to plants that were using clean technology to recycle it. However, the business did not pick up as planned, and for the first year there we able to divert very little electronic waste from the scrap dealers. “We realized that people weren’t going to handover their electronics to us simply because we had an authorisation from the government or because we represented a good cause”, says Jariwala. “Scrap dealers had a huge network with very little overhead cost, and competing with them directly was starting to not make sense if we wanted to sustain our young start-up”, adds Ghiya. They needed to offer better value and services to the customers who were handing over their electronic gadgets to them. How, was the question. They concluded that they were focusing on “recycling” more than the “reuse” aspect of the gadgets coming in. Instead of sending the devices to the recycling plants, they called in an electronic engineer to get the products repaired and refurbished. Then, they put the redone gadgets up for sale online. 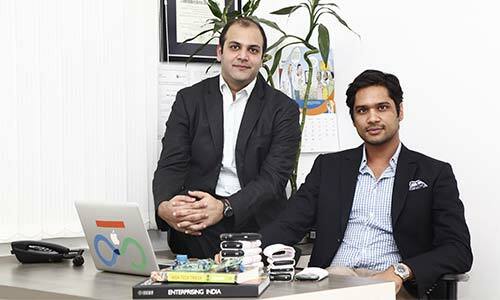 “We sold over 100 phones in two days”, says Ghiya. They decided to tap the market for used phones online and started making profits. They could now offer a lot more than the scrap dealers to people selling their gadgets. “Realizing that many of the electronics lying at people’s homes could still be used after minor repairs, we shifted our focus to extending the life of gadgets as much as we could and only break-down and recycle them when we couldn’t increase their life any further”, says Ghiya. There was a lot of reuse potential as there are a lot of people waiting for upgraded technology to reach them at lower prices. They hired more engineers, created a website offering much higher values than scrap-dealers, bought and refurbished more devices, added people to their customer care and marketed their site and soon, they started growing. If they receive a dead device that cannot be used at all, spare parts are removed from it and reused in other devices that may need it. “About 95% of all devices received are repaired, refurbished and re-sold. Only about 5% parts are non-recoverable spares that need to be recycled into metals and plastic. Not a single per cent goes to waste”, says Ghiya. 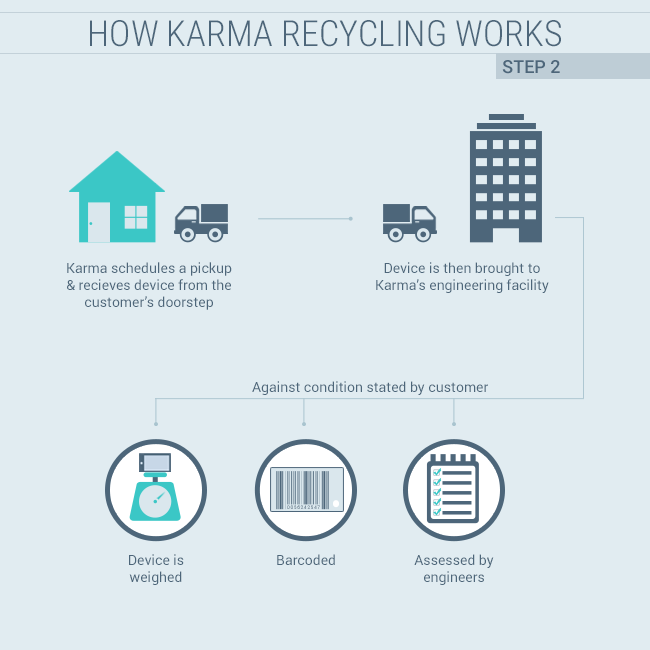 It has been three years since Karma Recycling came into being, and the number of gadgets it receives has seen a 6-fold increase since its inception. From an average of 300 gadgets per month in 2013, it tripled in one year to touch 900 gadgets per month in 2014. 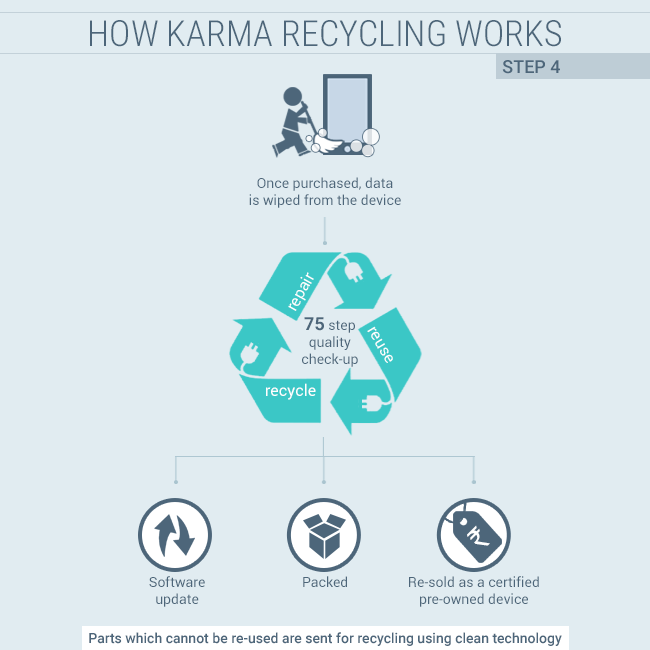 Today Karma Recycling is handling an impressive 1800 gadgets per month. advertise more. i stumbled upon this article on the ndtv website otherwise i wouldn’t have known about your company at all. Excellent stsrt. Hope it is sustainable and leads to a higher degree of “reuse”> Recycling should be kept in mind as an option. Apply technology here. Very inspiring. Most of us have gadgets that we are not using anymore and not sure what to do with it. I have tried giving my old phones to second hand dealers who have refused as there are no buyers. Being environmentally conscious is everybody’s responsibility and i hope the reach of your company extends all over India. 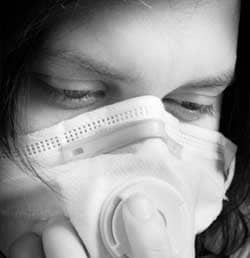 What is it that bothers you the most about the quality of the air we breathe? 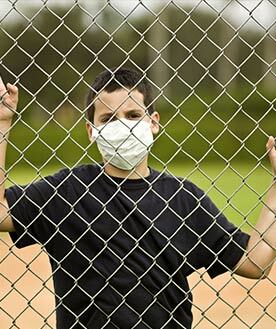 Have you suffered because of air pollution and how do you plan on changing things to tackle it? Share your story with us. About 4.3 million people die from exposure to household air pollution annually, according to the World Health Organisation. Here's more about Indoor Pollution, in numbers. The ‘Breathe Clean’ campaign is a joint initiative by Philips and NDTV to raise awareness about the quality of air we breathe and provide solutions for improving indoor air quality.